Even if you aren’t normally a big fan of action movies featuring superheroes, you probably still noticed that the Justice League movie made a lot of waves this year. Therefore, it is no surprise to see that a Justice League slot has now appeared on the scene. It has been made by the prolific developers at Playtech, and that is pretty much a guarantee of quality. Among the features on here is the fact that you can find any of the 6 superheroes (Superman, Wonder Woman, Batman, Aquaman, Cyborg and The Flash) stacked a mighty 3 high at times. The free spins come around fairly often and this is the key to unlocking those superhero symbols. This means that big wins come along frequently and help to keep the good times rolling. The set-up is clean and classy, with the different heroes all nicely detailed. The other symbols of this 5 reel 40 payline game include the symbols of the different superheroes. In the Justice League slot it is the team’s JL symbol that is wild. Even more exciting is when one of the reels turns red randomly. When this happens you get a free spin provided that one of the heroes is sitting on it. It carries on re-spinning up to 5 times if a different hero lands on it every time. As for the scatter symbol that triggers free spins this is the cube symbol that only ever appears on the 1st, 3rd and 5th reels. 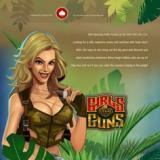 All in all, this is a fun and fast-paced slot that you can find on reliable casinos siuch as the BGO casino right now.